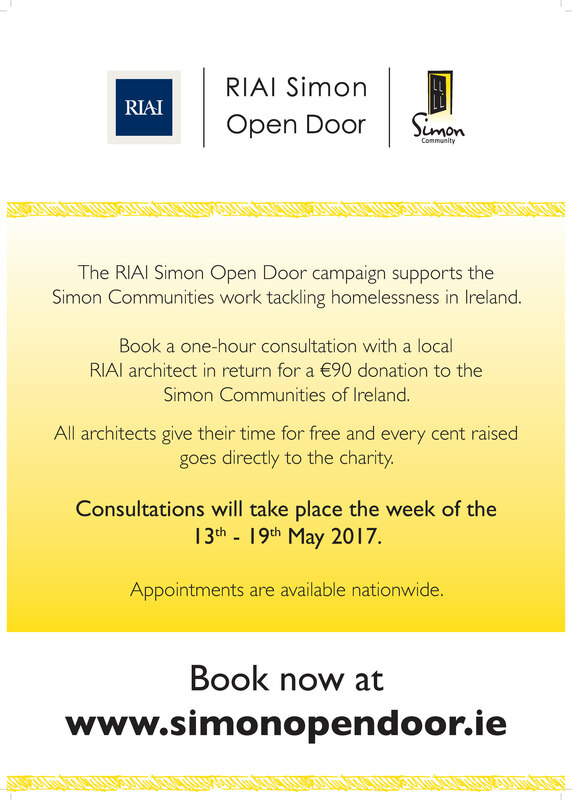 The RIAI and the Simon Communities of Ireland have again joined forces for the 15th annual fundraising initiative “Simon Open Door”. We are delighted to announce our participation in this important campaign for the 10th year in a row. 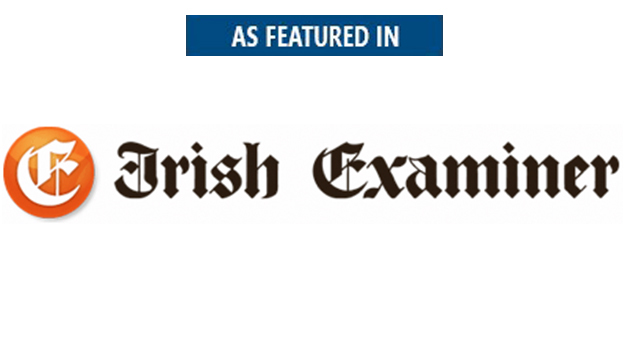 Every year we happily dedicate our time and professional expertise to support the Simon Communities of Ireland. All funds raised go directly to the Simon Communities to support their work in tackling homelessness. The Simon Communities throughout Ireland provide the best possible care, accommodation and support for people experiencing homelessness and those at risk. Together, with people who are homeless, Simon tackles the root causes, promotes innovative responses and urges the government to fulfil their commitments. Simon delivers support and service to over 11,000 individuals and families who experience – or are at risk of – homelessness on an annual basis. Anyone hoping to build, renovate or extend their home, office or shop in Wexford may be interested in this initiative. Isabel Barros Architects will offer an hour long consultation in return for a donation of €95 to charity. All of the money raised goes towards the work of the Simon Communities of Ireland. You can sign up for an appointment with Isabel Barros Architects in Wexford on Saturday 11th May, just log in at www.simonopendoor.ie. Read Testimonials about the Simon Open Door. Read What Really Happened During Simon Open Door Weekend. This year will be the 9th year that Isabel gives her time for free to the Simon Communities of Ireland. The Simon Communities of Ireland work with people who experience homelessness and housing exclusion in Ireland. Simon has a vision of society where no one is homeless. All people who are homeless, or at risk of facing homelessness, are given every opportunity to realise their potential to live fulfilled lives in appropriate homes of their own. The annual RIAI Simon Open Door event takes place May 14th to 20th 2018.Members of the public can now book a consultation with a RIAI Registered Architect by signing up at www.simonopendoor.ie. The donation of €90 will go directly to the Simon Community of Ireland as all Architects are giving their time and expertise for free. Monies raised through the Simon Open Door campaign will go directly to assist some of the most vulnerable people in our society, those without a place to call home. Providing 9 people with a warm bed for the night. Providing Simon’s rough sleeper team with 4 emergency packs for those sleeping on the streets. Providing a home starter pack for those who are moving to their own homes. 6 weeks of art/literacy classes. You can sign up for an appointment with Isabel Barros Architects directly here, or with other registered Architects at www.simonopendoor.ie. Join Simon Open Door page in Facebook. We are delighted to announce our participation in this year’s “Simon Open Door 2017”. The Simon Communities of Ireland work with people who experience homelessness and housing exclusion in Ireland. Simon has a vision of society where no one is homeless. All people who are homeless, or at risk of facing homelessness, are given every opportunity to realise their potential to live fulfilled lives in appropriate homes of their own. Simon is recognised for providing innovative solutions to ending homelessness and for influencing government policy and public opinion. 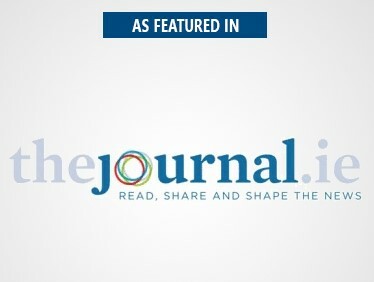 This year will be the thirteenth year that the Simon Communities of Ireland has been in partnership with the Royal Institute of Architects of Ireland. Over the course of this wonderful partnership almost €600,000 has been raised for the Simon Communities of Ireland through the R.I.A.I. 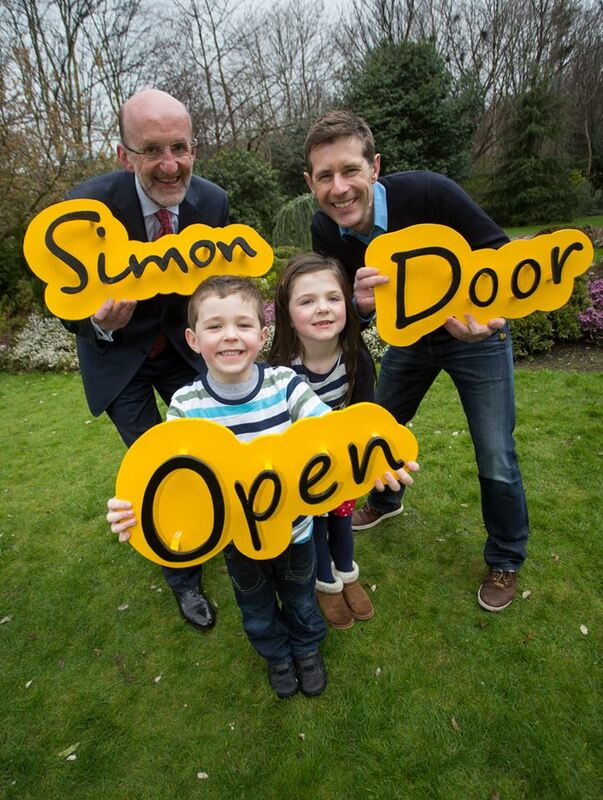 Simon Open Door initiative. Anyone hoping to build, renovate or extend their home may be interested in this initiative. Isabel Barros Architects will offer an hour long consultation in return for a donation of €90 to charity. All of the money raised goes towards the work of the Simon Communities of Ireland. Provide accommodation and meals in a transitional house for 10 nights. Help fund a home starter pack for those who are moving to independent living such as crockery, kettle, linen and basic household goods. Help provide the Simon Communities rough sleeper team with 3 emergency packs for those sleeping on the streets. You can sign up for an appointment with Isabel Barros Architects by logging in at www.simonopendoor.ie.